This is a scalable context timeline. 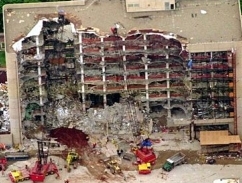 It contains events related to the event June 30, 1997: Oklahoma Grand Jury to Examine ‘Larger Conspiracy’ behind Oklahoma City Bombing. You can narrow or broaden the context of this timeline by adjusting the zoom level. The lower the scale, the more relevant the items on average will be, while the higher the scale, the less relevant the items, on average, will be. 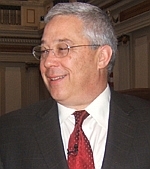 Law professor Douglas O. Linder will later use a book by two death-row inmates, Secrets Worth Dying For by David Hammer and Jeffrey Paul, to claim that a number of white supremacists from the Aryan Republican Army (ARA—see 1992 - 1995, October 12, 1993 - January 1994, and November 1994) and Elohim City (see November 1994 and April 5, 1995) may help Oklahoma City bomber Timothy McVeigh (see September 13, 1994, October 20, 1994, and 8:35 a.m. - 9:02 a.m. April 19, 1995) construct his bomb at this time. Hammer and Paul will write their book after spending time in the Florence, Colorado, “Supermax” prison with McVeigh (see June 2, 1997). Linder himself will say that the claims lend themselves to dispute, as the trial record does no more than “hint at th[e] possibility” of someone besides McVeigh and his co-conspirator Terry Nichols (see March 24, 1988 - Late 1990, December 22 or 23, 1988, October 12, 1993 - January 1994, and February - July 1994) being involved in the bomb construction, and “[a]ny book written by convicted death row inmates raises credibility concerns.” However, Linder says other evidence gives the Hammer and Paul claims at least some credibility. McVeigh Receives Help in Building Bomb? - According to the authors and Linder, ARA members, possibly including a bomb expert McVeigh will later call “Poindexter” (see March 1995), join McVeigh in early April to work on the bomb. The men probably camp at Geary Lake, where on April 14 McVeigh meets with Nichols to receive some cash (see April 13, 1995). This same evening, a Junction City pizza delivery man brings a pizza to Room 25 of the Dreamland Motel, where he gives it to a man identifying himself as “Bob Kling,” an alias used by McVeigh (see Mid-March, 1995) to rent the Ryder truck used to deliver the bomb (see April 15, 1995). The delivery man later tells an FBI interviewer that “Kling” is not McVeigh. Linder, via Hammer and Paul, will say that the man who takes the pizza “was, most likely, ARA member Scott Stedeford.” Linder, drawing on Hammer and Paul’s material as well as his own research, believes that McVeigh, Nichols, and, “probably,” the never-identified “John Doe No.2” (see April 15, 1995 and and April 20, 1995) drive to Oklahoma City (see April 16-17, 1995), with McVeigh and “Doe” in McVeigh’s Mercury Marquis (see April 13, 1995) and Nichols in his pickup truck. McVeigh parks the Marquis in a parking lot near the Murrah Building, and all three ride back to the Dreamland Motel in Nichols’s truck. McVeigh leaves Elliott’s Body Shop in Junction City with a Ryder truck on April 17 (see 3:00 - 5:00 p.m. April 17, 1995), after renting it under the name “Robert Kling” and telling the employees he plans on using it for a four-day trip to Omaha. Statements by Prosecution and Defense - The prosecution puts an array of survivors and family members of the victims on the stand to tell their harrowing stories, and shows videotapes of some of the surviving children battling grave injuries in the months after the bombing. The defense counters with testimonials from some of McVeigh’s former Army friends (see March 24, 1988 - Late 1990 and January - March 1991 and After), and a presentation by McVeigh’s divorced parents, Bill McVeigh and Mildred Frazer; the father introduces a 15-minute videotape of McVeigh as a child and concludes simply, “I love Tim.” The defense emphasizes McVeigh’s far-right political views, insisting that his misguided belief that the government intended to impose tyranny on its citizens was fueled by the Ruby Ridge (see August 31, 1992 and August 21-31, 1992) and Branch Davidian (see April 19, 1993 and April 19, 1993 and After) incidents, and drove McVeigh to mount his own strike against a government facility. 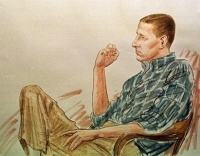 However, defense lawyer Richard Burr tells the jury, “He is just like any of us.” The defense brings in soldiers who served with McVeigh in the Army to testify about McVeigh’s exemplary service, but their statements are quickly neutralized when prosecutors remind them that they are all taught as their first rule of duty “never to kill noncombatants, including women and children.” Another damning moment comes when prosecutor Beth Wilkinson elicits testimony that shows McVeigh killed more people in the bombing than US forces lost during Desert Storm—168 to 137. Jones pleads for a life sentence without parole. At no time do defense lawyers say that McVeigh feels any remorse towards the lives he took. McVeigh Will Be Incarcerated in Colorado 'Supermax' Facility - McVeigh will be held in the same “supermax” federal facility in Florence, Colorado, that houses Theodore Kaczynski, the “Unabomber” (see April 3, 1996), and convicted World Trade Center bomber Ramzi Yousef (see February 26, 1993 and February 7, 1995). In a letter to the authors of McVeigh’s authorized biography, American Terrorist, Kaczynski will later say he “like[s]” McVeigh, describing him as “an adventurer by nature” who, at the same time, is “very intelligent” and expressed ideas that “seemed rational and sensible.” [Douglas O. Linder, 2006] A person who later speaks to McVeigh in prison will call him “the scariest man in the world” because he is so quiet and nondescript. “There’s nothing alarming about him—nothing,” the person will say. “He’s respectful of his elders, he’s polite. When he expresses political views, for most of what he says, Rush Limbaugh is scarier. That’s what’s incredibly frightening. If he is what he appears to be, there must be other people out there like him. You look at him and you think: This isn’t the end of something; this is the beginning of something.” [Nicole Nichols, 2003] McVeigh is one of only 13 people to be sentenced to death under federal law. It has been 34 years since any prisoner sentenced to death under federal law was executed. [New York Times, 6/4/1997] He will speak briefly and obscurely on his own behalf when Judge Richard Matsch formally sentences him to death (see August 14, 1997).